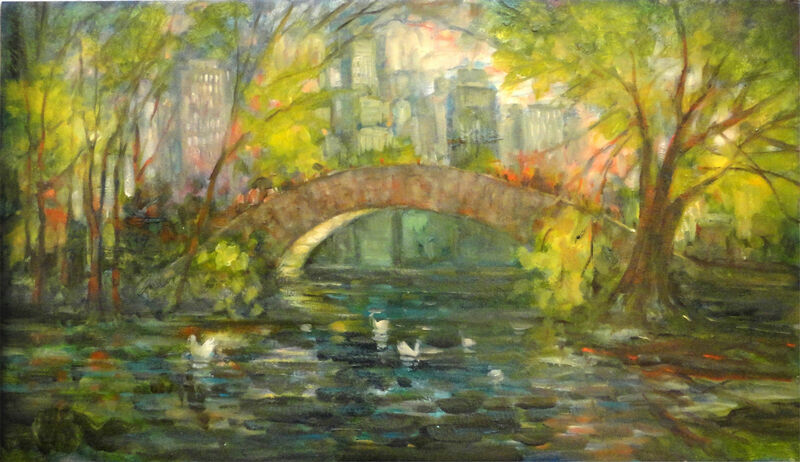 Central Park Painting, Swans in New York Park, 24×42 in. Oil on panel by Hall Groat Sr. This piece is classic scene of New York Central Park during the height of summer. The painting is created in tones of gray, blue, teal, violet, green, yellow, orange, white, and umber. HALL GROAT SR., an American Impressionist painter, is a native of Syracuse, New York, where he studied Art at Syracuse University.